Sorry I haven't posted yet this week. Life has been as crazy as normal plus some. Anyway, today we have a Friday with First Timers post! I haven't done one of these posts since May, and I've gained a lot of new readers since then, so in case you don't know, on Fridays I spotlight an authors upcoming or recently published debut novel. 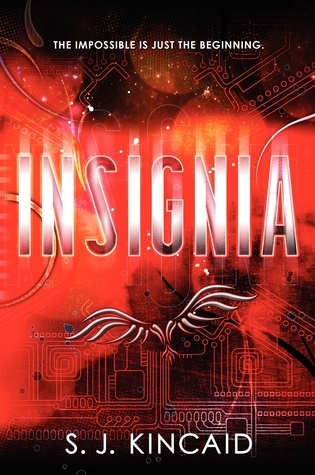 Today I'm spotlighting Insignia by S.J. Kincaid. This book came out in July. I read it this week and loved every minute of it. This book is like Ender's Game meets Brain Jack. If you didn't know, I consider both those books worthy of 5 stars! S.J. 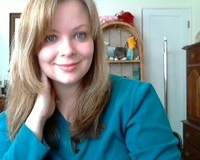 Kincaid was born in Alabama, grew up in California, and attended high school in New Hampshire, but it was while living beside a haunted graveyard in Scotland, that she realized that she wanted to be a writer. Short, I know but it's all I could find on her website. She also blogs here. Come back tomorrow for an Agent Stalker Saturday post. Have a great beginning to your weekend! Ready . . .Set . . . GO! Blog Tour, Day 1 Closing! Teen Read Week, Day 1! Nation Teen Read Week Blog Tour! National Teen Read Week, Blog Tour Announcement!